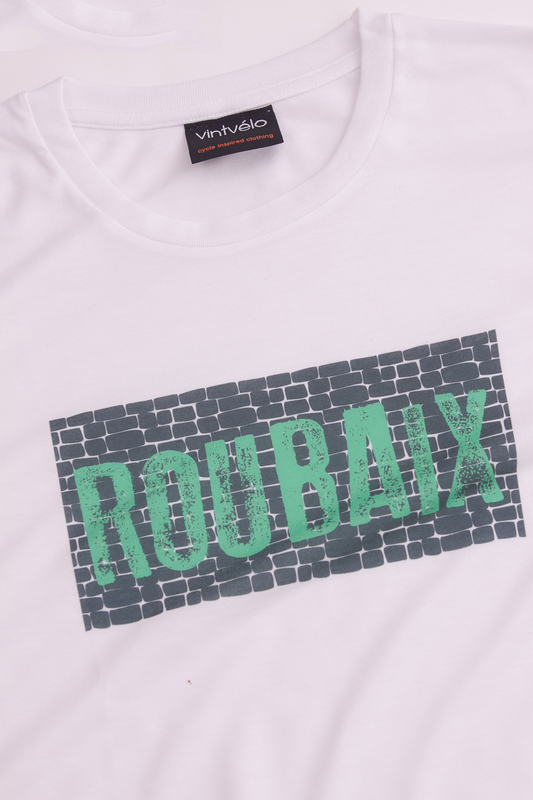 Our latest design pays homage to what many believe to be the toughest and most iconic of the Spring Classics, the Paris-Roubaix. Made infamous and feared by many for its brutal and unforgiving cobbled sections, or pavé. We love the classics, and this is without doubt our favourite. 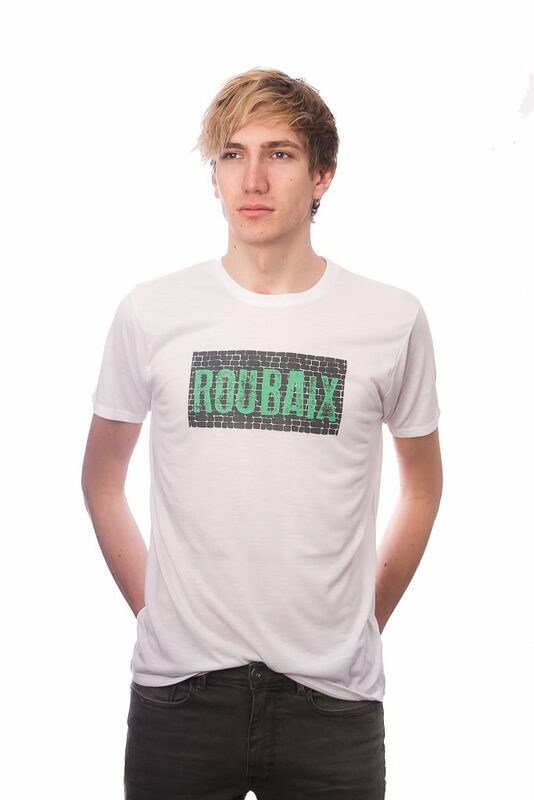 Each T-shirt is made from 100% recycled post-consumer polyester, on average recycling 7 used plastic bottles. Two variations of this product are available, either Green text on Black cobbles, or Pink text on Grey cobbles. Suitable for men and women, these Unisex T-shirts are available in sizes XS-XL.